A remarkable example of Catalan- Aragonese architecture, belonging to 16th century that has still survived till date is Palazzo d’Albis. 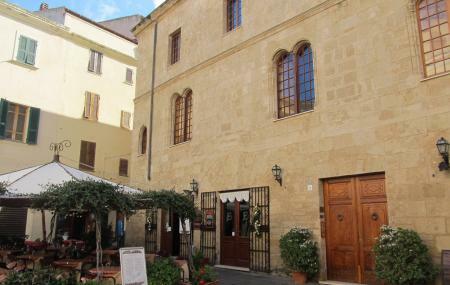 According to the facts, the palazzo offered hospitality to the Emperor Charles V in the year 1541. The legend says, the sovereign used to greet the visitors from the balcony of this palazzo by saying ‘Estode todos caballeros’. The palazzo used to be the permanent head quarter for the d’Albis family and then it was temporary residence of the Viceroys of Sardinia who used to stay before taking the oath in the cathedral of Alghero. How popular is Palazzo D'albis? People normally club together Chiesa Di San Francesco and Cattedrale Di Santa Maria while planning their visit to Palazzo D'albis.